Gunmen have attacked a convoy of trucks carrying uranium fuel to a nuclear power plant near the Brazilian city of Rio de Janeiro, police say. The convoy came under attack as it drove past a community controlled by drug traffickers in Angra dos Reis, a tourist city 145km (90 miles) from Rio. The attack in the Rio-Santos highway is the latest in a series of violent incidents in an area popular with visitors. In 2017, a British woman was shot and wounded after her family’s car drove by mistake into a community run by gangs. The gunmen targeted the police officers that were part of the convoy as it passed the Frade community at around 12:00 local time on Tuesday (15:00 GMT), Brazil’s federal highway police said in a statement. “Sadly, attacks by criminals have become frequent in that area… Such a beautiful region, with great tourist demand has become a dangerous place,” spokesman José Hélio Macedo was quoted by O Globo newspaper as saying. 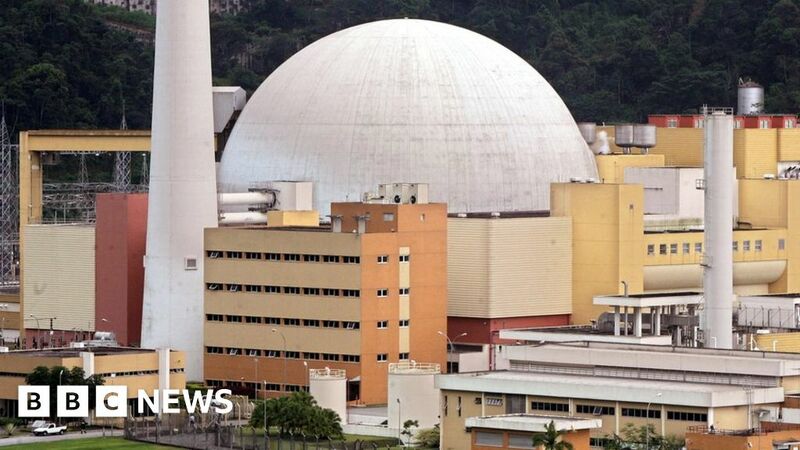 The uranium was being transported in armoured containers in a “natural state” and would not have offered any risk as it had the same level of radioactivity as when it is found in nature, Brazil’s nuclear agency Eletronuclear said. The agency, however, said the convoy “had not been attacked by bandits” directly – it was passing in the area at the moment a shootout was happening. Some bandits scared by the heavy police presence shot at a police vehicle in the convoy, it added in a statement. Violence has increased in Angra dos Reis in recent years and heavily armed criminals are now present in once-peaceful communities, correspondents say. Reports say the shootout in Frade was a result of fighting between rival gangs.